Nobody likes getting calls, especially bad ones. And everybody sure as hell hates making them (well – we don’t), so people are innately distrustful of using cold calling to reach out to new clients. If you get someone who doesn’t know what they’re doing, it’s a waste of time and money. If you already distrust cold-calling, then it doesn’t take much for that to turn into complete lack of faith in it as a legitimate way to get new business. On the other hand, people who are good at it will get you leads that turn into clients. And given that one of the best things about outbound new business is that it allows you to grow your business in the direction you want, why wouldn’t you do outbound calls? So why all this ‘cold-calling is dead’ stuff? Well, it is getting harder – nowadays you need to have a clear positioning and support it with a strong website and case studies (yes, content marketing helps too…). There are a lot of people not doing it very well, and there are a lot of people who don’t get that an outbound lead is not an inbound lead. You can’t walk in expecting to be given a brief – running the meeting in the right way and nurturing the relationships you build will mean pitches and wins. Maybe the term ‘cold-calling’ is dead – after all the internet means that you can find out something about the person before you call them, but by having a real conversation, you get to understand aims, needs and challenges. Of course, the best form of communication is face to face which is why getting in front of people is so important. Whatever it is, calling someone who doesn’t know you, getting to know them and ultimately winning work from them, is not dead. Nothing will ever replace just getting in touch with someone to find new clients. You need to know what you’re doing, but if there’s one thing that social media shows, it’s that people want to interact, learn and find new things. It just must be done in the right way. Our clients win business by us reaching out to prospects using a combination of the outbound sales and inbound marketing. The reason the telephone is still so important is that speaking to people in person gives the opportunity to introduce the company, gain rapport and make them do the next step – your inbound marketing. What are calls intended to do? When you speak to someone on the phone, the bi-product of the call would be try to get them more intrigued about what your company does (if not actually getting them to meet or buy). The natural progression for the prospect is to check out your website, see your case studies, maybe check you out on LinkedIn and see what you’ve got to say for yourself on social media. BUT, and it is a big BUT, the prospect will never have heard of you if you don’t get on the phone and introduce yourself. Unless of course, your services and product speak very loud for themselves already. If you are in a very niche market and constantly producing the best content amongst our peers, then people may have heard of you. It’s not a given though. You still need to pick up the phone, introduce yourself and then let them find you afterwards. The prospects will look, so make sure that all your collateral is right for the inbound part. Don’t waste your time doing the telephoning if you haven’t got those basics right in the first place. I must admit I have offered the chance of an interview a couple of times on the strength of the person’s calling me attitude and personality. Other times I have offered the telephonic equivalent of the door because I don’t like rude sales people. One annoying sales trait is the assumption I must be interested. Just because someone has my number doesn’t mean I want to talk to them about whatever it is they flog to pay their rent. I had a boss who used to ask pushy salespeople if their mothers knew how they did what they did for a living and weren’t they ashamed of their child’s manners? He’s not being mean, he is asking them to reflect on how an approach makes a prospect feel. If you manage to speak to anyone on the phone it used to be common courtesy even if it was your mother or a friend to always ask if they have a few minutes – of course nobody really does have any free time in this hyperactive world but by asking that question you are setting out your stall. By being polite you can ask when would be better to call back and reasonably expect an answer. Even worse than not asking what people might want from an uninvited telephone call is then to blather on without giving them a chance to object. I hate being talked over on the phone, especially when someone is telling me it isn’t a sales call that is motivating this act of rudeness. It just gets our collective backs up. A good sales conversation really does consist of 80% listening. If you can’t wait for them to finish speaking before you speak you’re either a child or an idiot with no social graces. The thing is contrary to what you might think most people we speak to on the phone on behalf of our clients are very polite. There’s some egoism, a little bit of brusqueness but the telephone is an accepted part of the way agencies and even blue chips try and get new business. As long as you’re clearly not insulting somebody’s intelligence by reading from a script, having no real understanding of what it is your selling or what it is they might want to buy, then people are usually fine. Disarming people who might otherwise ask you to go away is perfectly acceptable. So is front-loading a conversation with some fascinating relevant fact. What isn’t acceptable is trying to tell someone how great your product is out of context. Frankly I don’t care for that approach, and neither does anyone else today in a world saturated by products competing for our attention. 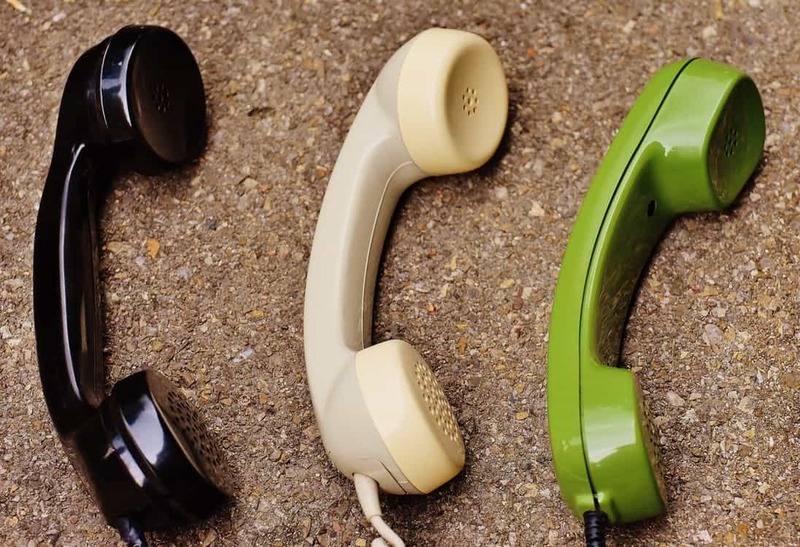 People might be rude and pushy off the phone – more on that another time – but it seems to me that despite the so-called death of cold calling announced (annually) there is still a reason for it. It gets people’s attention and it cultivates relationships unlike the flat tone of an email, or the anonymity of direct mail. It works both ways of course. In this industry we do encounter the grumpy and the rude, the nasty and the downright uncivil. These people may have been the “victim” of a previous caller who was pushy and demanding. It doesn’t make it right to be rude. I personally make a point of being so polite to these kinds of people I almost always end up evoking an apology. Those that can’t manage that I assume are so ignorant and unpleasant that their own lives are the just reward for the way they respond to others. Politeness is so important in our “right now” society and those in the sales industry owe it to themselves to make a point of it – even enjoying it. It’s more than a reward; politeness leads to openness and the sharing of knowledge, which is after all what makes a good salesperson an excellent one.